Now that winter is here and the holidays are in full-swing, it’s important to take a moment to focus on our mental health, as this is something that tends to become a bit more stressed both during the holidays, as well as during the winter months when there is less sun and harsher weather patterns. With 5.4% of the population in Canada reporting symptoms of a mood disorder in the past year, and 4.7% of Canadians meeting the criteria for depression, it always helps to have a strategy for managing any such symptoms during the holidays, as NAMI has found 64% will experience a spike in symptoms during the holidays. These rates are even higher in the United States, with 6.7% having at least one episode of depression in the last year. suffering from depression who do get treatment do not respond to SSRI (selective serotonin reuptake inhibitor) medications whatsoever—a common first line of defense for the percentage of those seeking help. This leaves those who suffer from amental illness, and the mental health community as a whole in search of alternative methods for treatment, as well as lifestyle changes and habits that can help alleviate some of the suffering. Since it’s winter, and a majority of readers are facing climates with very little sunlight, cold temperatures, and snow, we’re going to discuss some fun winter activities that can be incorporated into your schedules this time of year that will help reduce any symptoms of depression, anxiety, or stress that arise. A little sparkle is all it takes to start feeling some of the magical bliss the holidays can bring. If lights are not a trigger for you, take some time to decorate your home, your office, and even your wardrobe with a bit of sparkle. You may also want to light some good smelling candles, and infuse the air with some soothing essential oils. If you have a fireplace, make a date to have a nice, quiet evening at home with those you love (family, friends, partners, or pets) and share the light and love. Do be sure to employ safe practices with any electronics, candles, and fireplaces to ensure that you’re not lighting your entire life up in flames. Once you have your loved ones gathered, you may want to share stories, as well as wishes for the upcoming year. It will also help to count your many holiday blessings. Another way to light up your life is with a UV sun lamp, as this can help combat symptoms of depression and seasonal affective disorder (SAD). The weather may be a bit colder than it was a few months ago, but that doesn’t mean you cannot get outside and enjoy nature. If it’s snowing, bundle up and go play in the snow. You don’t have to be a child to enjoy making a snowman. If you have kids, they can be your perfect excuse. Let out your inner child, and remember how much fun it is to catch snowflakes on your tongue and make angels in the snow. There may even be a sleigh ride available in your area. If you live in an area that doesn’t have snow, get outside and take a hike, ride a bike, dance under an umbrella (if it’s raining), or just take in all of the sights, sounds, and sensations that come to you in the moment while you’re outside in nature. The sunlight will be good for you, and if you’re able to get some exercise in the process, you’ll be killing two mental health management birds with one stone. One great thing about the holidays is that ice skating is available in most locations, whether it’s cold outside or not. Take some time to visit an indoor or outdoor ice skating rink, play some hockey, or just make laps and work on your skills. If you find yourself near a lake or pond, you may even want to do some ice fishing. There are a number of wonderful winter sports to engage in during the holidays. If you’re not too keen on the ice, you may opt for some skiing, snowboarding, snowmobiling, sledding, or tubing down a snowy hill or black diamond. Do take all appropriate safety measures with any sport you choose to participate in, as safety is one of the best ways to ensure good health. If you’re afraid to try going down a hill you may opt for cross-country skiing, or hiking with snowshoes. If snow and cold are not your cup of tea, check out some local activities that are held indoors such as group exercise classes, basketball, etc. It’s difficult to feel sad when you’re sharing your love and abundance with others. This doesn’t always have to be monetary either, as you could simply share your time. Volunteer at a local retirement home, animal shelter, group home, or homeless shelter. There’s likely a lonely grandmother, dog, cat, child, or veteran out there who would truly appreciate a few moments of your time. Listen to this person’s stories, and pet or walk an animal. You’ll be making the life of another individual brighter, and this will have a positive impact on your karma, energy, mood, and the world. If we all take a moment to do something selfless for another living being this month, we’ll be making the world a bit better place to be in, one smile at a time. Laughter truly is one of the best medicines around. It’s incredibly difficult to feel sad when you can’t stop laughing. Whatever your chosen method, plan time in your day for time to laugh. You may want to attend a comedy show, or watch a funny video or movie. Others may opt for listening to a funny song, reading a funny story, or doing something goofy with friends. Sometimes you don’t need an excuse at all. Just laugh. It’s a highly therapeutic practice that can help melt any feelings of sadness away and it’s contagious. Once one person starts laughing, it’s difficult for others to not join in. Nutrition has a very big influence on the way we feel, and one of the best ways to help alleviate symptoms of anxiety and depression is by feeding your body with all of the vitamins, minerals, amino acids, and fatty acids it needs to function optimally. We also call these micronutrients, and extensive research has shown these to be helpful in treating symptoms associated with mental illness. While it may be difficult to get all of the micronutrients you need from the foods you eat every day, a micronutrient supplement can take the guesswork out of maintaining good nutrition. This doesn’t mean that you can eat whatever you want when you take these supplements, it just means that you’re giving yourself an extra hand this time of year to ensure a lack of nutrition isn’t holding you back. 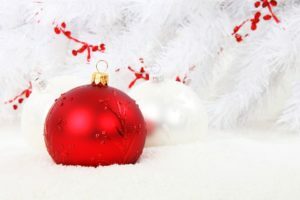 Combating holiday stress, depression, and anxiety can seem impossible to bear at times, but with a bit of planning and strategic tact this season, you’ll be giving yourself the best hand possible in terms of managing symptoms and alleviating the suffering enough so that you can enjoy some of the wonderful things this time of year can bring. If you’d like a bit more help this time of the year, you’re certainly not alone and there is no shame in asking for it. A licensed therapist and/or physician may be able to help you start on a path toward inner healing, as well as rule out any medical conditions, and discuss additional treatment options. You deserve to feel your best, and I truly wish you all the brightest, most joyous holiday season you’ve experienced yet. The post Winter Activities that Help Reduce Symptoms of Depression, Anxiety, and Stress appeared first on .